We check the phone on average 150 times a day. We turn in on within 15 minutes of waking up in the morning. While we are in a store, we turn to our smartphone to get suggestions, compare prices and decide what – and where – to buy. Is this affecting your business strategy? Mobile commerce already makes up 34% of all e-commerce transactions around the world, and it is destined to disrupt the retail industry. How are you going to keep up? Today, every company – regardless of the industry – needs to find an answer to two very distinct demands: The first one is to stay relevant in a world where customers dictate the agenda; the second one is to build a memorable mobile strategy, to engage customers in every moment of truth. The arrival of the so-called mobile-friendly algorithm, launched by Google, that has changed the way we live (and create) websites and online experiences. The overtaking of search queries from smartphones at the expenses of those coming from desktop computers and tablets. This has changed SEO forever. The launch of the AMP (Accelerated Mobile Pages) project by Google, a new way to build mobile-friendly web pages destined to become the standard in the next years. Google, in the forefront of this innovation, has perfectly summed up this complex scenario in its report about the emergence of Micro Moments. Mobile technology is acting as the main catalyst for a digital transformation that is rewriting the rules of the game. You are either in, or you are out. The multiplication of touch points leads to a combination of physical and virtual elements, which will ultimately change the retail experience. 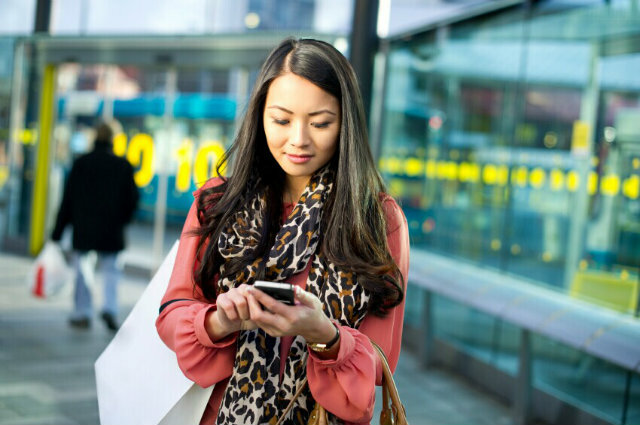 The web goes mobile; your customers go mobile; commerce becomes mainly mobile. What about your strategy? In this regard, mobile commerce is a piece of the puzzle called digital commerce, which takes place online and offline, and might end up online or in store. This type of interaction is more fulfilling and results in a transaction of value where the digital customer experience becomes the real differentiator. Taking care of mobile commerce, therefore, does not simply translate into bringing your e-commerce to the smartphone. It implies a complete change of perspective, to redefine your business priorities and focus your customer experience on the pervasiveness of mobile devices. In a few words, mobile commerce is as much about monetization as it is about the revitalization of the engagement and loyalty. Customers already live submerged in this new ecosystem, and brands must acknowledge the shift to revamp their business strategy and stay relevant. To understand the role of mobile in today’s markets, and the trends that will transform your business in the next few years, check out the infographic below, created by Coupofy. Download The Mobile Engagement Playbook, a collection of relevant insights that’ll help you to overcome the challenges of the digital transformation and grow your business exponentially.